In English heraldry, the lozenge has for many centuries been particularly associated with certain females as a vehicle for the display of their coats of arms, instead of the escutcheon or shield, which is in its origin an object of manly warfare. In this case the lozenge is without crest or helm, again objects of manly warfare. However, for the practical purpose of categorisation the lozenge may be treated as a variety of heraldic escutcheon. Traditionally, very limited categories of females have been able to display their own arms, for example a female monarch (who uses an escutcheon not a lozenge, being unlike most armigerous females, a military commander) and suo jure peeresses, who may display their own arms alone on a lozenge even if married. In general a female was represented by her paternal arms impaled by the arms of her husband on an escutcheon. (See Marshalling (heraldry)). In modern Canadian heraldry, and certain other modern heraldic jurisdictions, women may be granted their own arms and display these on an escutcheon. Life peeresses in England display their arms on a lozenge. An oval or cartouche is occasionally also used instead of the lozenge for armigerous women. As a result of rulings of the English Kings of Arms dated 7 April 1995 and 6 November 1997, married women in England, Northern Ireland and Wales and in other countries recognising the jurisdiction of the College of Arms in London (such as New Zealand) also have the option of using their husband's arms alone, marked with a small lozenge as a difference to show that the arms are displayed for the wife and not the husband, or of using their own personal arms alone, marked with a small shield as a brisure for the same reason. Divorced women may theoretically until remarriage use their ex-husband's arms differenced with a mascle. Widowed women normally display a lozenge-shaped shield impaled, unless they are heraldic heiresses, in which case they display a lozenge-shaped shield with the unaltered escutcheon of pretence in the centre. The heraldic pelta appeared officially on the cover of the French passport early in the twentieth century, and in the mid-twentieth century as the emblem of the French state in the halls of the United Nations. The Belgian coat of arms uses the same form of shield. Cuellar or Cuéllar is a Spanish surname that was derived from the name of the town Cuéllar in the Segovia province of Spain, with spelling variations that include; Cuéllar, de Cuéllar, Cuellar, de Cuellar, Cuello, de Cuello, Coello de Coello and many more, and were first found in the Kingdom of Castile, an important Christian kingdom of medieval Spain. Shields vary greatly in size and shape, ranging from large panels that protect the user's whole body to small models (such as the buckler) that were intended for hand-to-hand-combat use. Shields also vary a great deal in thickness; whereas some shields were made of relatively deep, absorbent, wooden planking to protect soldiers from the impact of spears and crossbow bolts, others were thinner and lighter and designed mainly for deflecting blade strikes. 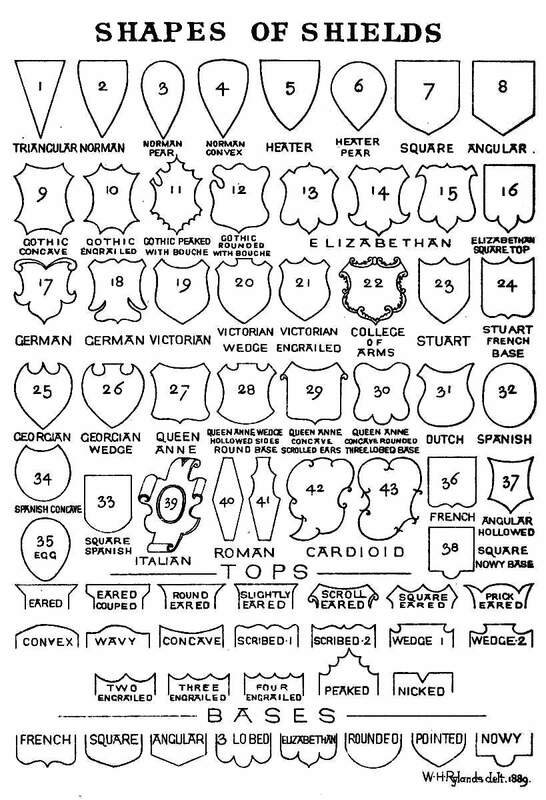 Finally, shields vary greatly in shape, ranging in roundness to angularity, proportional length and width, symmetry and edge pattern; different shapes provide more optimal protection for infantry or cavalry, enhance portability, provide secondary uses such as ship protection or as a weapon and so on. In prehistory and during the era of the earliest civilisations, shields were made of wood, animal hide, woven reeds or wicker. In classical antiquity, the Barbarian Invasions and the Middle Ages, they were normally constructed of poplar tree, lime or another split-resistant timber, covered in some instances with a material such as leather or rawhide and often reinforced with a metal boss, rim or banding. They were carried by foot soldiers, knights and cavalry. Depending on time and place, shields could be round, oval, square, rectangular, triangular, bilabial or scalloped. Sometimes they took on the form of kites or flatirons, or had rounded tops on a rectangular base with perhaps an eye-hole, to look through when used with combat. The shield was held by a central grip or by straps that went over or around the user's arm. Often shields were decorated with a painted pattern or an animal representation to show their army or clan. These designs developed into systematized heraldic devices during the High Middle Ages for purposes of battlefield identification. Even after the introduction of gunpowder and firearms to the battlefield, shields continued to be used by certain groups. In the 18th century, for example, Scottish Highland fighters liked to wield small shields known as targes, and as late as the 19th century, some non-industrialized peoples (such as Zulu warriors) employed them when waging war. In the 20th and 21st century, shields have been used by military and police units that specialize in anti-terrorist actions, hostage rescue, riot control and siege-breaking. The modern term usually refers to a device that is held in the hand or attached to the arm, as opposed to an armored suit or a bullet-proof vest. Shields are also sometimes mounted on vehicle-mounted weapons to protect the operator.